I went to an excellent tasting last week, organised by Decanter magazine, which claimed to have brought together some of Italy’s greatest winemakers (as an aside, it’s just as well they can organise a decent tasting as their magazine – at least to judge by their most recent issue, an enormous brick filled with useless information about the awards they recently gave away and endless puffing of the credentials of the judges who awarded them – isn’t up to much). Sadly I didn’t have enough time to work my way around a room crammed both with interesting wines and with people wanting to try them, but there was no way I was leaving without trying, for the first time, one of Italy’s true icons, Sassicaia. I’d been waiting for this moment for four years, since a lovely afternoon spent in Bolgheri, the small town in Tuscany where it is produced (I’m always more attracted to wines when I feel that I know a bit about where they are from). While in Bolgheri, little more than a stop-off on the way to Pisa airport at the end of an extended stay in the Maremma, I’d had a wonderful meal, visited a brilliant enoteca and absorbed enough of the Sassicaia legend to become mildly obsessive about it – only the £125-a-bottle price tag was holding me back (and that’s the cheapest bottle I can find – if you want to buy a bottle of the 1985 from Harrods you’re looking at £2,400). Back to London, and having been bustled away from the Gaja table I found Tenuta San Guido’s surprisingly open and made my move. There were three bottles available: the latest vintage (2009) of La Difese and Guidalberto, their two more reasonable offerings, and the 2004 Sassicaia. It’s perfectly possible at these tastings to thrust your glass at whoever’s manning the table, demand a sample of the top wine and be on your way, but I consider that a bit rude and always make a point of tasting through a producer’s entire range. Not much of a hardship when it’s as small and as fine as this one. I ended with the Sassicaia, and was not disappointed. It was very intense, laden with spices before gradually revealing layers of brambly fruit. But the thing is, the Guidalberto had also been excellent – loads of mouthwatering acidity, good tannic structure, bright fruit. They’re not identical by any means – Sassicaia is made of cabernets sauvignon and franc, while Guidalberto is a blend of cabernet sauvignon (some of it the leftovers from the Sassicaia vineyard), merlot and sangiovese; Sassicaia has an extra year in oak barriques, none of which is American – but both were wines that I’d be very happy to pop in my theoretical cellar. The biggest difference between them, so far as I could tell, had nothing to do with quality but reputation and cost: their recommended retail prices are £103 a bottle apart. And while the Guidalberto would make you happy now and for the best part of the next decade, a Sassicaia won’t really be at its best for a good decade after it’s produced – so you might as well factor in another £10 a bottle in storage charges while you’re at it. And he likes that a teeny weeny little bit more (though he seems a great deal more enthusiastic about the Guidalberto). £103 and a tenner in storage is, to me, quite a lot to pay for upgrading from a wine that can make an experienced taster quite enthusiastic, to one that can make the same experienced taster a tiny little fraction more enthusiastic with a couple of caveats. The Difese, by the way, was also very enjoyable, in a distinctly fresher, more gentle style. But the qualitative leap from that to the Guidalberto (which costs an extra tenner) was more obvious than that between the Guidalberto to the Sassicaia. 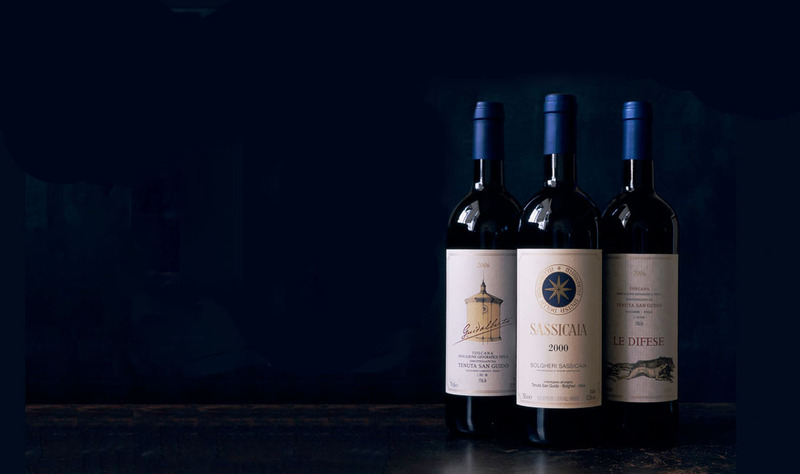 Sassicaia doesn’t even have rarity on its side – there are 10,000 more bottles of it made than of it’s little brother. So where’s the value here? Hi CF. Great article. Agree Decanter’s annual wine awards edition is fit for the recycling bin. One of the reasons it is so unsatisfying is that, at least for the Australian wines with which I am most familiar, the brands competing are generally run of the mill. There is a myriad of Australian gems, often produced in a European style more acceptable to a British palate, that presumably don’t export and therefore don’t bother entering such competitions. C.
Thanks for the post Corks. My problem with the wine awards edition of Decanter magazine is totally different to my problem with the wine awards themselves, though lordy knows I’ve got problems with that too. Despite all the issues with the awards, though, I can vaguely understand why they exist. The same isn’t true of the magazine, not in that form. Reading it did my head in (and picking it up did my back in).